During the Korean war, an anti-tank defense shelter was build in the Northwest of the South Korean capital Seoul in order to prevent the advance of the North Korean military. The apartments within the complex were basically for the soldiers but also a camouflage for the military facility underneath it. Later, also civilians moved in. In 2004, parts of the complex were dismantled, the rest was left unused. In 2013, an utilization concept for the buildings and the area was developed. 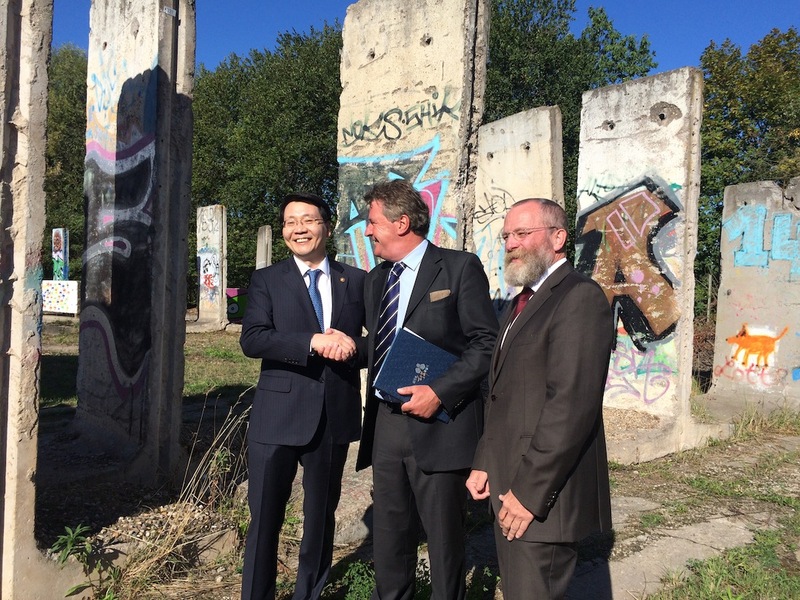 In this respect Lee Dong-jin, the district mayor, came up with the idea to set up some parts of the Berlin Wall at this site. 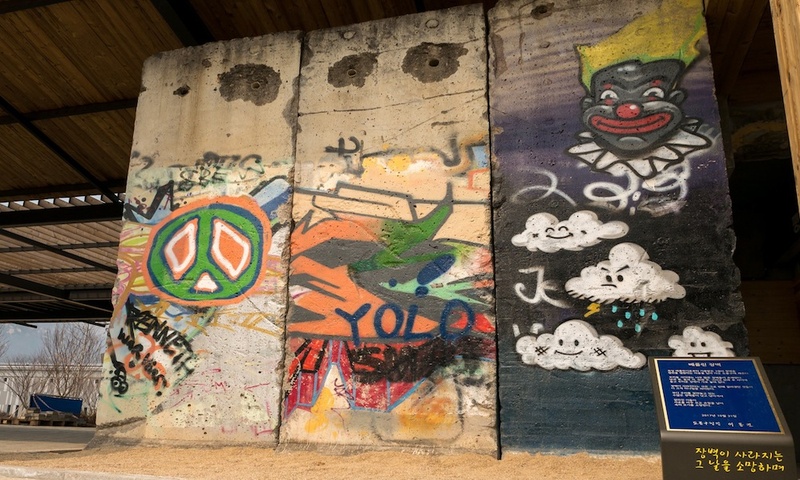 The realisation was supported by the Korean Embassy in Germany and the South Korean Ministry for Unification. 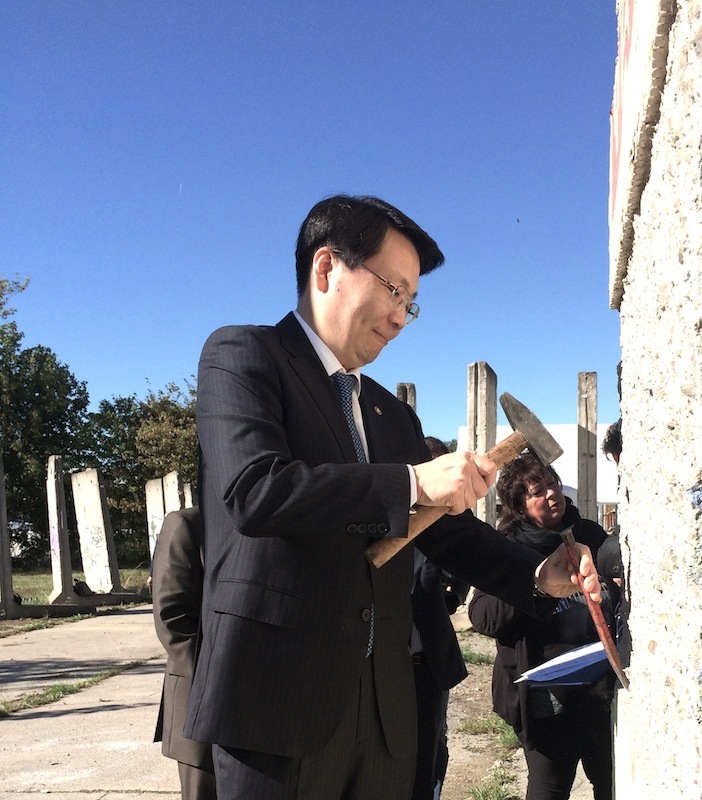 The donation ceremony took place in Teltow, Germany, in October 2016. One Year later the segments were set up in Dobong-gu and should express the South Korean will and wish for unification with the North. 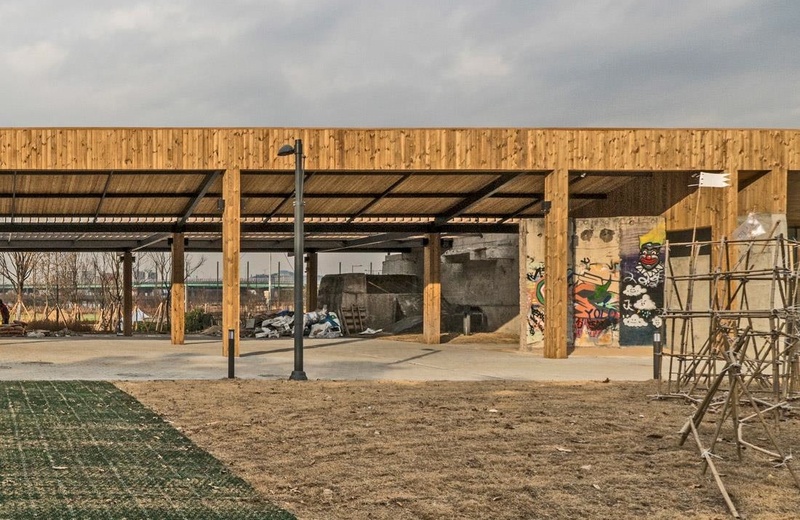 In 2017, the former military complex underwent a structural transformation to a cultural and creative quarter. The now called Culture Bunker is operated by the Dobong Foundation for Arts & Culture.